Any decision to recognize the illegal nature of unlawful financing should be made in accordance with financial regulation laws and related administrative rules, noted an official document jointly drafted by the Supreme People's Court, the Supreme People's Procuratorate and the Ministry of Public Security. 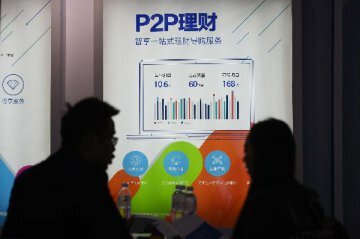 Xian Jie, deputy director of the SPP's law and policy research department, said regulations issued by government departments have clearly clarified peer-to-peer online lending, popularly known as P2P, as a direct connection between a borrower and a lender via an Internet platform that facilitates communication, interaction and matchmaking between both sides and provides services like personal credit assessment. 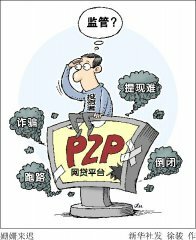 "P2P platforms are not supposed to raise fund for themselves, set up capital pools, offer guarantees, promise guaranteed principal and interest, sell financial and wealth management products, or conduct asset securitization -- activities that go beyond the legal scope of the platform's function as an information agent," Xian said at a recent press conference to introduce the directive. These platforms must strictly follow the country's laws and regulations on financial regulation, and if they violate rules, their activities will be of an illegal nature and they may be suspected of illegal fundraising, the official said. 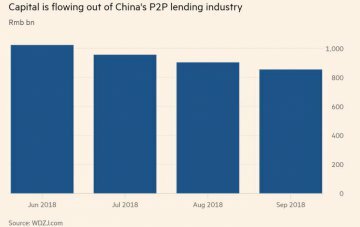 China's new P2P loans at RMB133 bln Nov.